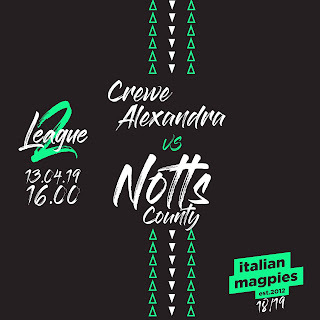 Italian Magpies: A game of...ONE half! I tifosi dell’AEK già si fan sentire con il loro tamburo, saranno una decina ma cantano non-stop che sembrano in centinaia! Mentre io e mio figlio, dopo altre foto, ci rechiamo allo store dello stadio per un po’ di shopping e come prima cosa prendiamo le maglie bianconere (stupende). Poi entriamo nello stadio (nessun controllo alla mia borsa e solo un vecchietto al tornello che ci saluta con un sorriso, un calcio d’altri tempi anche in questi piccoli dettagli). E siam dentro lo stadio, i giocatori son già sul campo per lo stretching, sia i greci che i “nostri”. Appena il tempo di prendere posto e la partita ha inizio. Non sto a dettagliare la partita, dico solo che abbiam giocato molto bene e che Judge è un mago con il Pallone, iniziando subito con un colpo di tacco magico e poi arrivando anche alla rete, ma tutta la squadra gira a mille e gioca bene. A metà primo tempo però le nubi si addensano, si accendono i riflettori e inizia a buttar giù acqua a catinelle. Poi finisce il primo tempo, giusto qualche minuto per assaporarci un gustoso hot dog e i giocatori tornano in campo ma escon subito. L’arbitro fa aspettare ancora qualche minuto ma poi la partita è definitivamente sospesa per impraticabilità del terreno: la palla effettivamente non rotolava più. Peccato, ma questo ha lasciato il tempo a me e mio figlio di andar a fare un giro al castello di Nottingham e un po’ per il Town Centre. Nel frattempo nel classico stile di tempo inglese il sole era tornado di nuovo a farsi vedere. Alla fine non conta la partita in sé, quanto è durata..per me e mio figlio è stata un’esperienza unica. Emozioni pure e un senso di appartenenza veramente indescrivibile quando son scesi in campo sul manto verde 11 biaconeri con un profumo di erba appena tagliata che sembrava d’esser in campo..il calcio è questo per me: l’essenza vera del calcio è qua a Nottingham ed è sulle sponde della Nottingham bianconera..magari senza milioni di dollari ma con una genuinità, dai fans agli stewards allo stadio alla squadra che non può far altro che rendere ogni fan fiero di appartenere a questa magnifica storia e realtà calcistica. Our (me and my son) train is delayed (again) from Kings Cross so we wait in a station packed with people came to watch the London Olympics and when we finally get on the train I’m relieved that I’m heading in the opposite direction from London, leaving some chaos behind and heading for Nottingham for our very first time at Meadow Lane. Outside the window some nasty clouds try to mess things up but our mood is as happy as can be and nothing can ruin that (even if unfortunately later on it will, somehow!..). After a quite long journey, where I thank whoever invented crips and i-phone for keeping my son busy on the train!, we arrived in Nottingham and just outside a sign indicating the direction to “the Notts County football ground” so we start walking and also ask directions to a policeman (just to be sure!) who very kindly tells us the exact way. When we start seeing the football ground our camera is out and off we go with the pictures! When I see the street sign dedicated to Iremonger it almost brought tears to my eyes, no words can express, deep deep respect for this club. When we reach Meadow Lane the AEK fans are already signing and banging away their drums, they are only ten or so but they sounded like a hundred, fair play to them! There is enough time for me and my son to go to the stadium store to buy few things, first “must buy” is the black and wite new home shirt which is BEAUTIFUL like no other and we wear it ready for the game! When we get to our seats the players are already on the pitch preparing for the game while Mr and Mrs Magpie provide entertainment for the little ones, my son included! I won’t go into details about the game itself, which by the way we dominated and played extremely well with the touches of pure class and genius from Judge and the powerful midfield made by giants like Arquin, Labadie and the others..I feel this year we are going to get the playoffs..from mid way through the first half the rain starts and then the second half should start, players on the pitch,then out again for ten more minutes, then the decision of abandoning the game due to flooded pitch..shame, really, but decision couldn’t have been otherwise..after the initial disappointment-my son was booing the ref hehe-we start our gentle stroll back to town and, classic “british summer” the sun is out again and we are able to enjoy some parts of Nottingham and the tourist spots (some of them,at least!) with the Castle, Robin Hood statue, etc and my son loved it! In the end it doesn’t matter if the match was only 45mins..for myself and for my son it was a unique experience, pure emotions and a sense of belonging that is truly difficult to put down in words, especially when we saw eleven black and white jerseys on that green grass of Meadow Lane and the scent of freshly cut grass that was all around the ground and it felt like being on the pitch with them..this is football for me: the true essence of football is here in Nottingham and on the black and white side of Nottingham..maybe with less dollars than others but with a genuinity, from the fans to the stewards, from the stadium to the team that can generate only a sense of belonging and intense pride for this magnificent history and footballing reality.